The CIMAR project team is multidisciplinary and comprised of members of research centres and cultural facilities. The researchers’ different backgrounds enrich the study that will be carried out. The study focuses on large ports and their urban environments: Bilbao, Tarifa, Cartagena, Tarragona, Barcelona, Blanes, Palamós, Roses and Palma de Mallorca. We will examine their evolution, transformation and the new focus of the relationship between the city and sea, the city and the port, the city and obsolete port areas. 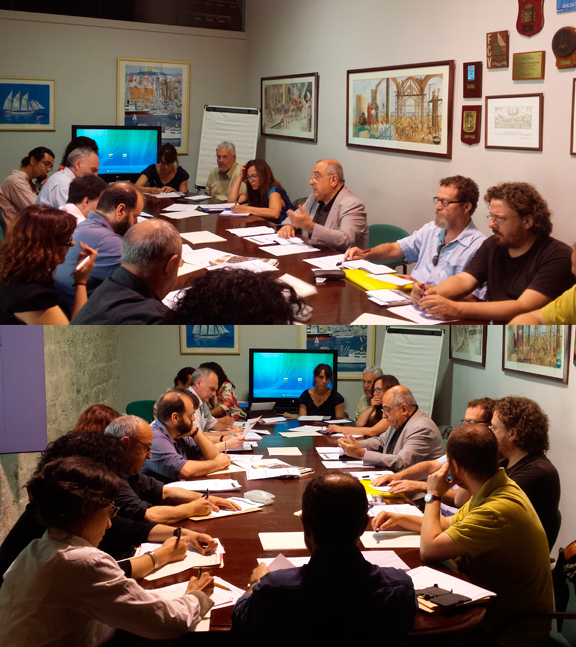 We will tackle a case of conflict in the port, maritime and growth model in Tarifa; focus on the specific nature of a fishermen’s neighbourhood in Palma de Mallorca, at its point of contact between the maritime and rural; and provide a view of past, present and future processes of change in the ports of the Costa Brava, specifically the new uses and patrimonialization of the port of Palamós, as well as the possibilities for change and new heritage uses of Roses and its new commercial port and marina. In all cases, we will focus on urban processes of replacement of the population, resulting from the transformation in the urban relationship between the port and the city, and the underlying social and even political conflicts. 1.The production of imaginaries. The bank of ideas. The city and the sea, drivers and resistance to change. 2. Heritage and identity. The transformation, replacement or invention of identities. 3. Industrialization and deindustrialization. Technological change and new uses. Urban development, territory and patrimonialization. 4. Tourism, new imaginaries, and the conflict of identities. 5. Social and territorial conflicts. Traditional societies, emerging societies, and processes of replacement (with or without gentrification). The role of local administrations and port authorities, mediation or bias in conflicts of interests. 6. Industries of the sea. Processes of patrimonialization and new uses of maritime and port architecture.